shire I’ve heard plenty of stories…many of them embellished, based on rumour, totally fictitious or even, in a few cases, actually true. The tales I retell here help paint a picture of northern working class life during this period of the industrial revolution. They are based on published work of writers of the time, many of them pioneers in dialect writing. 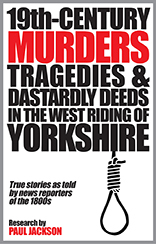 A collection of true stories about murder, tragedy, travesty, riots and downright dastardly deeds from nineteenth century Yorkshire as reported by the local newspapers of the day. £3.72 inc VAT & wireless delivery (this is UK cost – other countries may differ depending on VAT rate). £3.50 inc VAT & wireless delivery (this is UK cost – other countries may differ depending on VAT rate). 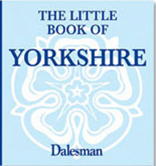 This tiny book is packed with traditional sayings and quotes by important and influential visitors, confirming what makes Yorkshire – the biggest and best county – such a unique place. England’s most glorious region has inspired poets and writers for centuries, while its wet weather and rough terrain has bred wily and hardy inhabitants. 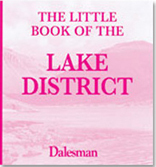 This wonderful ‘Little Book’ brings together some of the most uplifting and amusing sayings about the Lake District from the great and not-so-famous. 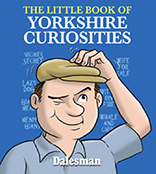 With a history stretching back a millennium and more, Yorkshire has amassed an unbeatable collection of curiosities, remarkable facts and record breakers, strange-but-true curiosities, fascinating myths and legends, and the downright weird … you’ll find them all in the Broad Acres — and the pages of this book.